The Armadillo Rib Vest can be worn inside or outside a driver's suit or jacket. The Armadillo Rib Vest meets 20.1 SFI Certification requirements for 5-8 & 8-12 year old karting drivers. It not only gives the driver chest protection, but covers the complete torso as well. 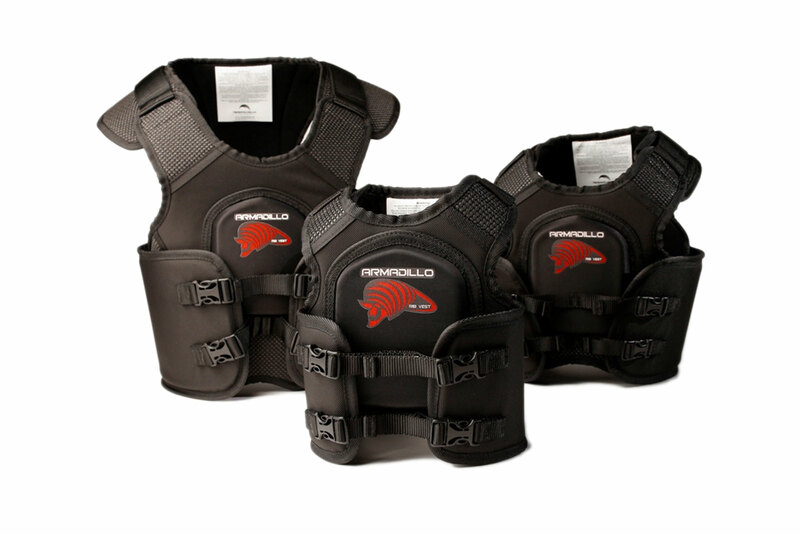 The designed-in versatility of the Armadillo Rib Vest makes it a good fit for all different sizes and shapes of drivers. Sizing Instructions: Measure around the driver's chest and waist; using the larger of the two measurements, find the size from the chart that best matches your measurement.